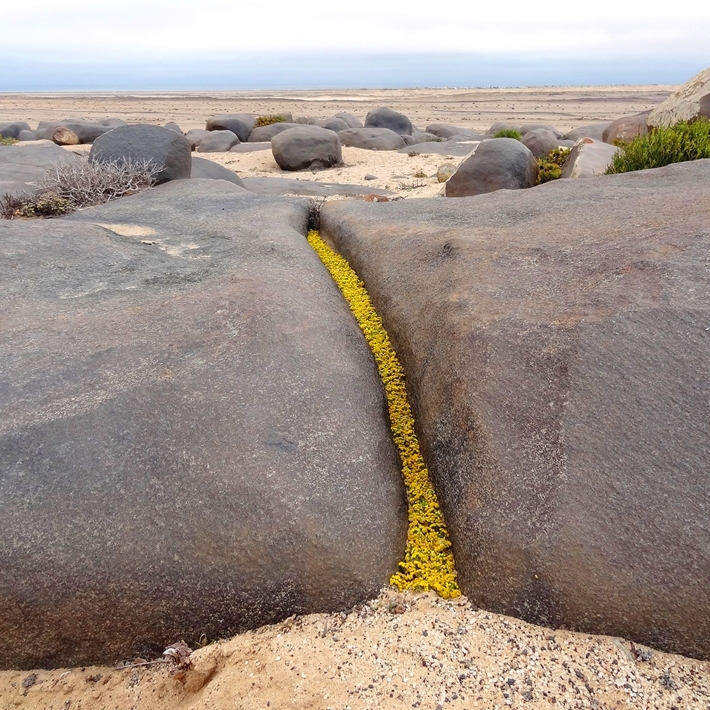 In this work an unnaturally radiating yellow line made out of flowers appears in the crack between two rocks. This work is a warning against the possibly inadequate storage of waste products (so-called tailings) from the yellowcake production of the uranium mines in the Namib. It is believed by some to cause a dangerously high radiation in the surrounding areas which are easily accessible by the public.